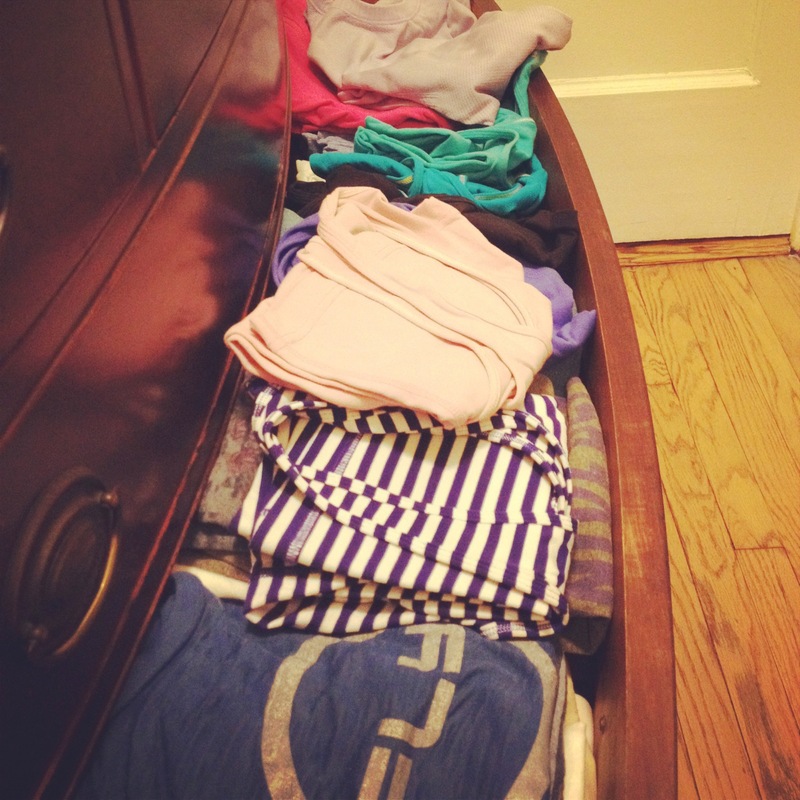 Confession: I have a lot of workout clothes. A girl needs a variety of colors. You might expect this from me since I work out a lot, am a personal trainer (aka it’s my job to wear workout clothes) and a lululemon Ambassador. 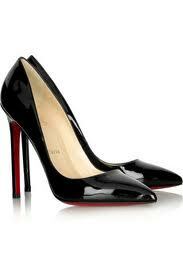 I mean, if I worked at Vogue you would expect to find Christian Louboutins and Marc Jacobs in my closet, right? Right. Being a lululemon Ambassador means I am free to come up with ideas for our community and get the full support of the company to execute whatever hair-brained activity I come up with. This has led to some seriously fun activities with my fellow Ambassadors and lulu friends city-wide. 1 45 minute spin class. 1 5K run. 2 Ambassadors. 45 BRickers. Awesome. and how I rode a spin bike in the middle of Madison Avenue on the same day? Yep. 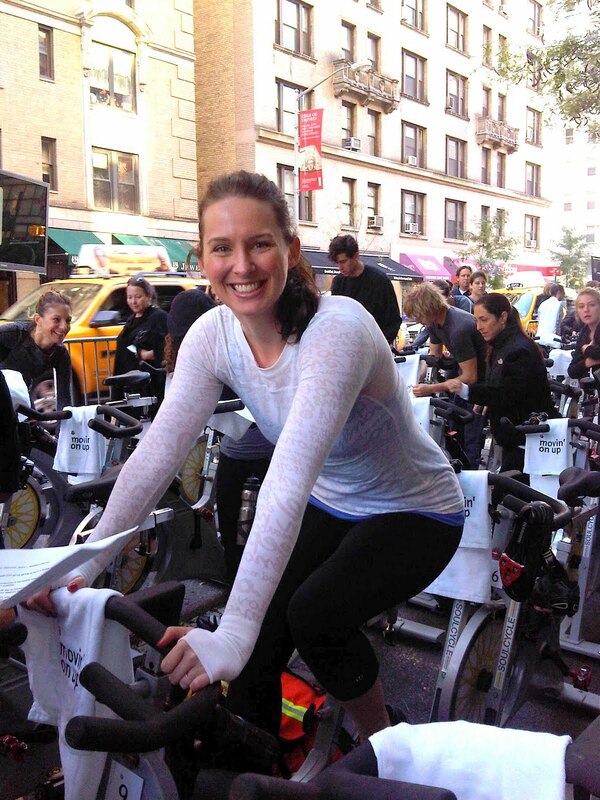 We had a spin class on Madison Avenue. Just another day in NYC! And then there’s the fabulous Sports Bra Challenge dreamed up by my lovely Ambassador friend Jenny Gaither. The sky’s the limit with us and we love giving back to our community! My store is at it again! The E. 66th St. lululemon athletica, inspired by Ambassador and yoga instructor extraordinaire Lauren Harris, is proud to present our very first Workout Clothing Drive! From July 1st-August 1st, we will be collecting gently used workout clothes of all brands, sizes and colors. Let’s be real, that sweat-ring stained yellow-when-it-used-to-be-white t-shirt is not what we’re after, but those shorts that are in good shape (but maybe are too big for you ‘cuz you lost those 10 pounds–hooray!) are exactly what we want! 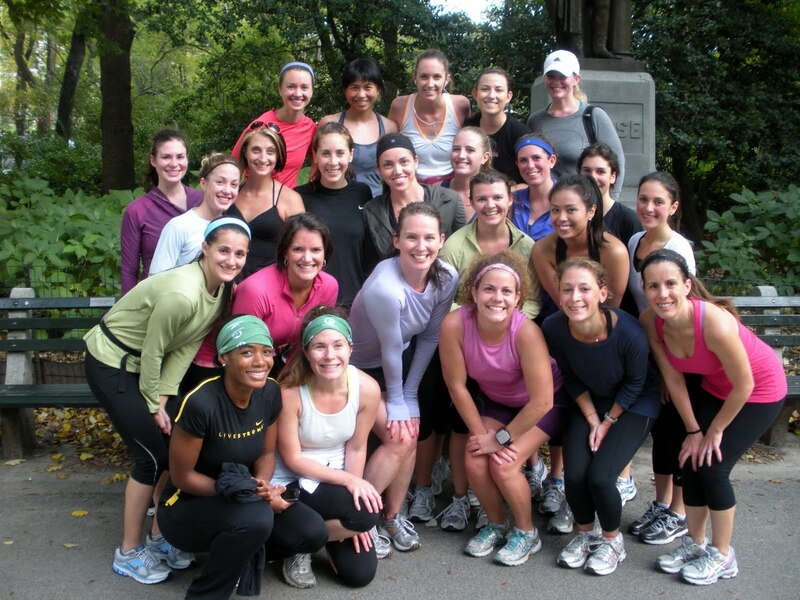 Our team ♥s to sweat and bring sweat opportunities to YOU! 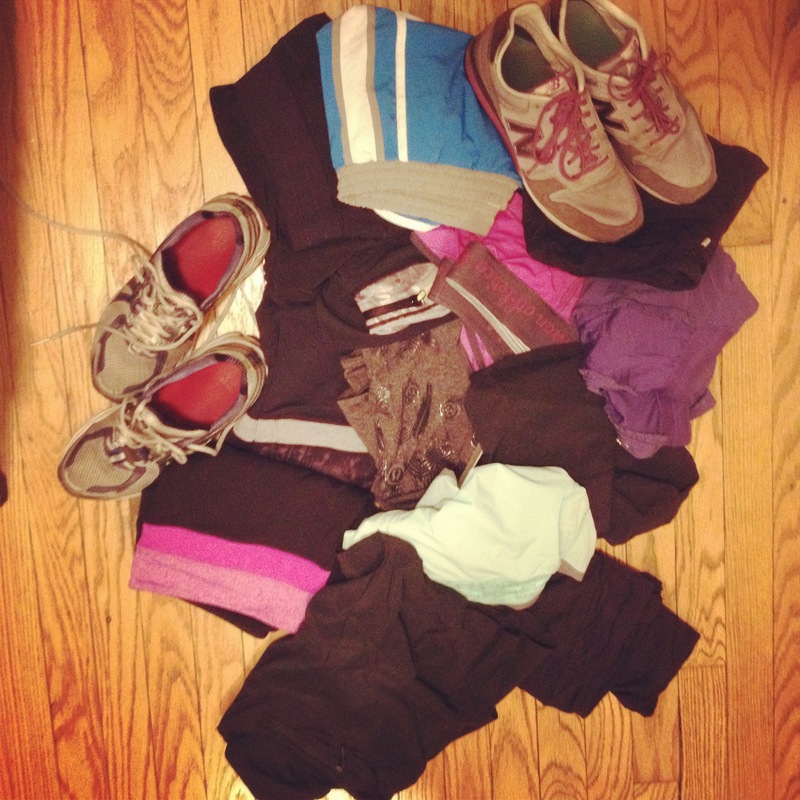 For an entire month, we will be collecting these clothing items at the E. 66th St. lululemon store on 3rd Ave. in NYC. The clothes will be assessed, washed and then donated to the Lineage Project. The Lineage Project is a non-profit organization that brings yoga and meditation to at-risk youth in New York City’s detention centers and alternative-to-incarceration centers. If you are somewhere else in the country/world and you would like to send your clothes to the drive (before August 1st), please email me: runstrongereveryday<at>gmail<dot>com and I will send you the shipping information to make this happen. The USPS has these great Flat Rate boxes that you can stuff full of clothes and still only pay $11.35 to send a Medium box or $15.49 for a Large box. How many pairs of shorts can YOU fit in a box and send to us? I think back to when I was wearing hideously uncomfortable cotton gym clothes, made for boys and not girls, that made working out torture even though it’s all I wanted to do. I think of how many miles I didn’t run, how many poses I didn’t try because my clothes were uncomfortable or didn’t fit quite right or held onto so much of my sweat that my tank top would sag around my knees mid-class. Everyone who wants to change their life with fitness deserves to have clothes that will help them do just that. These kids need an alternative to what their life is now. Help me make it a little bit more comfortable for them to give yoga a try. 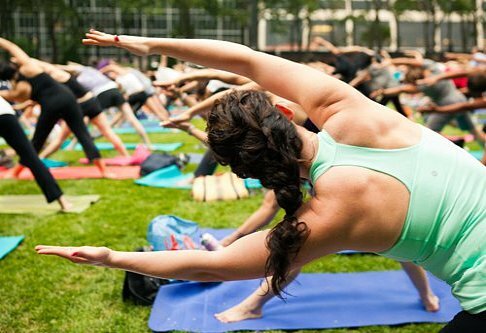 Yoga for everyone! Workout clothes for everyone! I want your old gym clothes. GIVE ME YOUR CLOTHES. Especially you MEN out there. Don’t be shy. We need all shapes and sizes. Bring it on.